Join us for our first Annual Egg Hunt on Saturday, April 20th at 3pm and even a visit from the Easter Bunny. 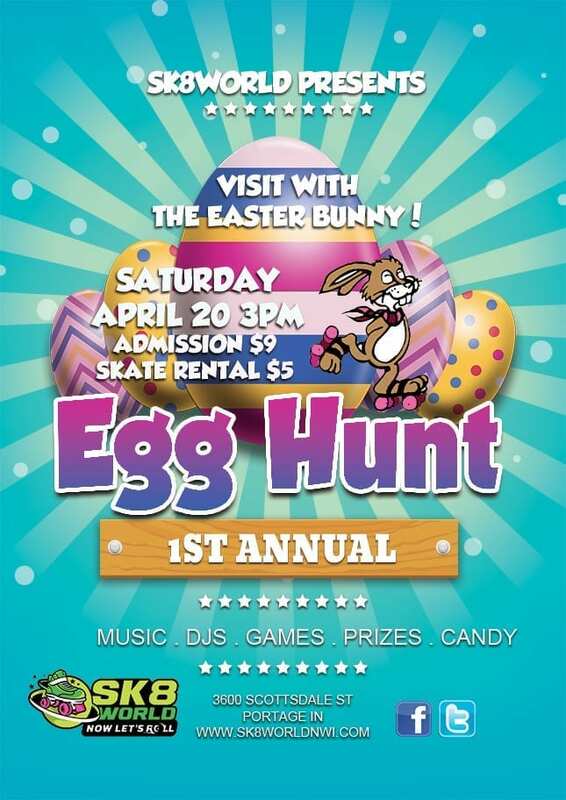 Find eggs hidden all over the rink filled with candy and prizes! One lucky person will find a FREE Birthday Party inside an egg for 10 people! Admission is $9 and skate rental is $5 if needed. Check our schedule for all our open public skate hours and upcoming events. Have your birthday party on this session!